The Newest Episode of What's New in Blue is Out! Inspired by the approach used for TED Talks, What’s New in Blue is a series of short videos intended to keep viewers informed about innovative developments and critical issues in law enforcement. The episodes feature informative discussions about ideas worth spreading throughout American policing in a format useful for viewing in roll call, training classes, or sharing with colleagues and across social media. 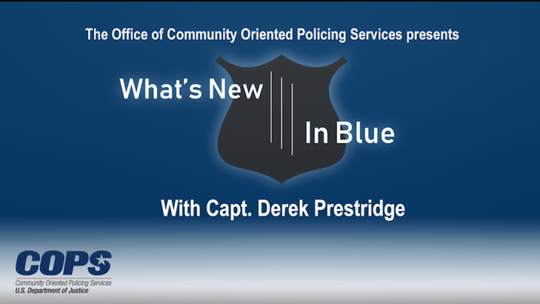 In this episode of What's New in Blue, Captain Derek Prestridge of the Texas Department of Public Safety, discusses the Interdiction for the Protection of Children program focusing on how the project began, its expansion across the country, and outcomes of the project. The Texas Department of Public Safety established the Interdiction for the Protection of Children (IPC) Program in 2007. 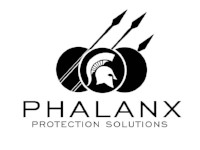 The program trains local law enforcement officers to identify and question suspects, during regular patrol stops, who may be trafficking children or involved in child abductions. In 2014, the COPS Office awarded the Texas Department of Public Safety a Microgrant to implement a nationwide train-the-trainer program and it has received numerous accolades from federal, state, and local law enforcement agencies across the country.